MADERA, Calif (KFSN) -- A nine-year-old Madera boy has received confirmation he's on Santa's NICE LIST! 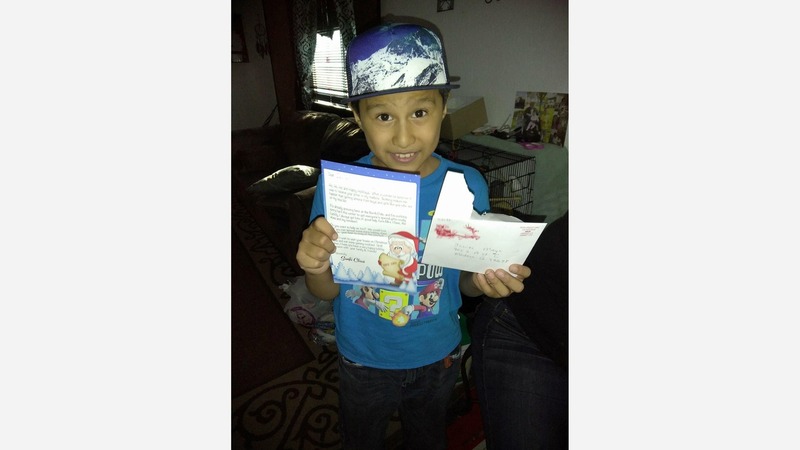 Javier Maya got a letter in the mail Thursday from Santa himself. It was in response to a letter he sent Santa earlier this holiday season. "When my daughter read it to him, he was so happy," said his mom Paubla. "He took it into his room and started writing something on the back and put it back in the mailbox." 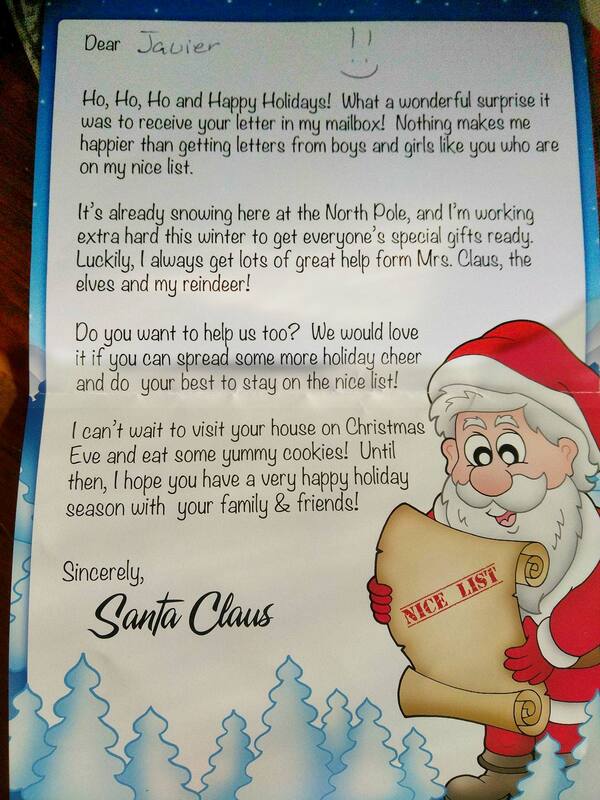 In Santa's response, he writes about how he's busy getting all the gifts ready to deliver on Christmas. He even asks Javier to help spread more holiday cheer and to do his best to stay on that nice list! Now, his mother is trying to figure out when he sent the letter, and what he wrote! So far, Javier won't say what he wrote - only that it's a secret. "Thank you so much to whoever helped make this happen," she said. We haven't received confirmation from Santa himself, but we DO KNOW that the United States Postal Service has a "Letters to Santa" program in its 101st year. To see the magic behind the program click here.